As Anti-Poverty Week in Australia gets underway, Chris Murdoch from Opportunity International Australia considers the solutions to global poverty and how much work there is still to do. On the eve of the 25th anniversary of the International Day for the Eradication of Poverty, I’m reflecting on the journey out of poverty so many families have made in the last 20 years. Journeys to freedom. Journeys to lives with choices, dignity and hope. In the late 1960s and early 70s, the global community recognised a very large number of families lived in extraordinarily challenging circumstances. Families who somehow survived on an income of less than US$2.50 (A$3.15) per day and struggled to feed their children, put a roof over their heads and send them to school. Families like that of Penina and Nicodaemus and their four children, who live in a one room shack in West Timor. No electricity. No water. No toilet. No transport. They earn between 30 and 60 cents a day selling the vegetables from their garden that they don’t need for their own survival. They have so little money, they are forced to choose between food, clothes and sending their children to school. This is not a choice anyone should have to make. As the enormity of the poverty challenge entered global consciousness, the world community responded in a variety of ways, including creation of the Millennium Development Goals. One of those goals was the eradication, or at least the halving, of poverty and the eradication of hunger. And that was successful in focusing people’s minds on the issue. Since then, economic growth and a range of poverty alleviation initiatives have halved the number of families who live in extreme poverty. So, we now know there are solutions to global poverty on a scale relevant to the problem. We know that we can do it. What we also know is that the job’s not over, there’s still too many families living in poverty in South Asia and sub-Saharan Africa. There is much more work to do. The task before us is more difficult and complex than the task we’ve already undertaken because many of the families we need to reach are the most marginalised. They’ve slipped through the cracks and don’t have a safety net to catch them. They may be hard to reach because they live in remote rural locations; they might be suffering illness and malnutrition and lack affordable healthcare and education services in their area; or there may be a domestic violence issue that prevents women from working. At Opportunity, we are adapting the way we help families break the cycle of poverty. We know the context in which families live, such as their remote location or lack of health and education services, is increasingly important. We are exploring ways of providing specialised services on a large scale and sustainable basis and tailoring our services to meet the specific needs of the families we serve. 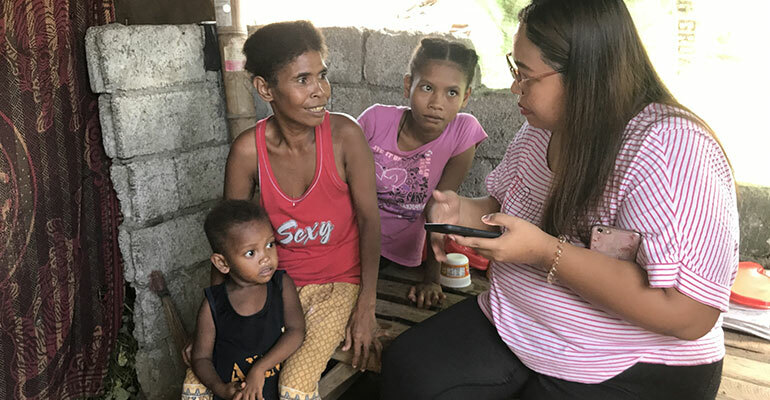 We’ve supporting the UltraPoor program in the Philippines that’s focused on families who are not yet ready for microfinance because of the extreme poverty in which they live. Marilyn has been selected as one of the first participants in this program. Marilyn lives with her husband in a humble shelter with their three children. Without any assets that might earn her an income, no government support and no regular employment, each day Marilyn struggles to buy enough food to feed her family – let alone pay for her children to go to school. Marilyn selected a piglet and sari sari store as the small business she would set up as part of the program. She’ll receive training on how to raise the pig and get it to market and how to develop her sari sari, as well as assets to get started such as a piglet and feed and stock for her little store. Each week, she’ll get a visit from a program officer who’ll mentor and coach her and encourage her to put aside savings. At the end of two years, life should look very different for Marilyn and her family. She’ll have a regular income from diversified sources. Her family will eat at least two good meals a day. They’ll have access to safe drinking water and a toilet. Most importantly, she’ll be equipped with both the skills and the resources to sustain their progress out of poverty. What I would say is, the reasons families like Marilyn’s and Penina and Nicodaemus’ live in poverty are mostly contextual. What we desire is for these families is to live lives of meaning, purpose, opportunity and hope. That can be done with a combination of financial services and key interventions like health and education services. The stories I hear of families freeing themselves from poverty renew my passion every day for my role. They are the human face of what’s possible. 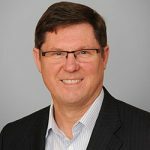 About the author: Chris Murdoch is Opportunity International Australia Asia programs director and global chief strategist. Chris oversees Opportunity International Australia’s Asia programs and the global network’s strategy. This includes the development, capitalisation and management of Opportunity’s innovation portfolio, looking at mobile technology and mobile money as well as partnering with specialists in health, education, water and sanitation services. He also plays a leading role in diversifying Opportunity’s global capital resources. Chris Murdoch is the Asia programs director and global chief strategist for Opportunity International Australia.